Run With The Wind was a great show, one that goes to show just how broad a category like “sports anime” can be. Among the other things it did well, it tackled the subject of racism, and did so in a kind of understated, nuanced way. 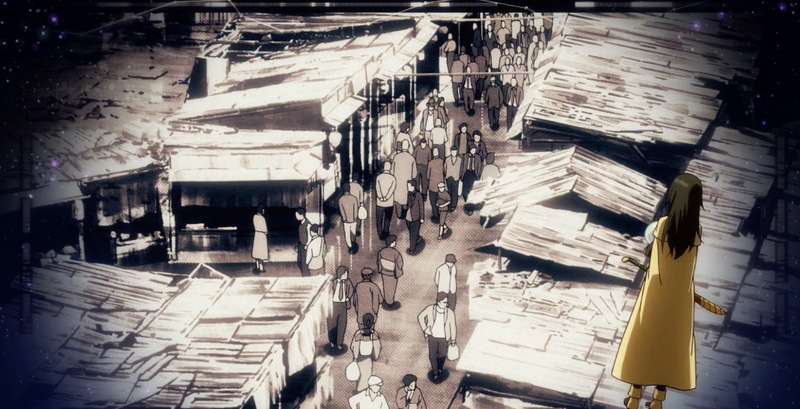 I rarely see this kind of thing done so well, and especially not in anime, so I thought it was worth taking a moment to call attention to it. Turns out I had nothing to be concerned about, because Musa was a fully-fleshed out character for whom race was only one aspect of the whole. Yes, his race was relevant to the story and did come up at times, but he was never presented as a racial stereotype, and he was never portrayed as being different from the other characters. 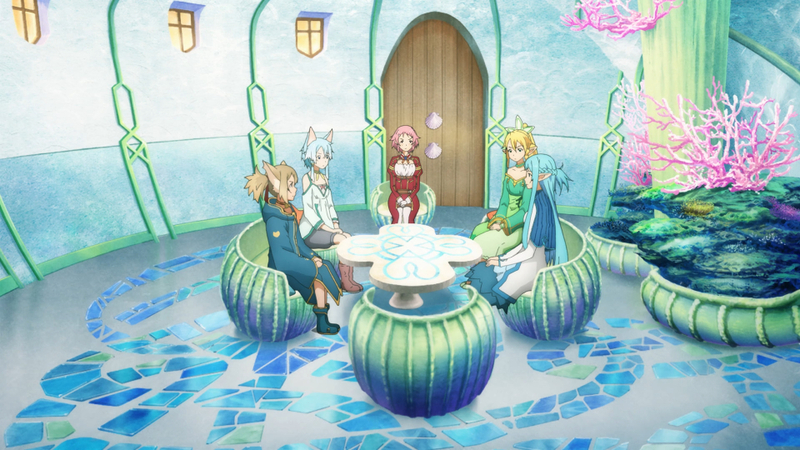 The characters were all different in the sense that they were supposed to be a ragtag group of misfits that somehow coheres into a team, but Musa was never portrayed as more eccentric than the other eccentrics, if that makes any sense. The show was smart enough to address the elephant in the room right away, too. Early on, when the dorm mates find out they’ve basically been tricked by Haiji into becoming a track team, the twins comment that running will come easier to Musa, because he’s African. Musa acknowledges that assuming he’s automatically a better runner just because he’s African is prejudiced, but he doesn’t blow a fuse over it; he simply acknowledges the ignorance of the statement and moves on. Musa is presented as someone who doesn’t tolerate casual racism, but he also doesn’t hit back like a ton of bricks when he sees someone engaging in it, either. It’s clear he thinks the problem is ignorance, not malice, since his reaction seems more disappointed than upset or angry. Why do they treat him so poorly? Is it because they’re meant to be evil, and the show is actually being racist by portraying the African students as being so unsympathetic? I don’t think so; try looking at it from their perspective. In their lives, they are utterly surrounded by Japanese people; the only people they know who look like them are serious track runners. We don’t learn a lot about them, but it seems likely they keep to themselves. And here comes Musa, who just started running like ten minutes ago, and is a sensitive academic, not a career athlete. He has far more in common with the Japanese students who share his interests than he does with the other African students, and everyone knows it. From their perspective, what is he doing there? Why is this guy who doesn’t even take running that seriously showing up at meets, possibly making them look less serious about running by association? Who needs that? 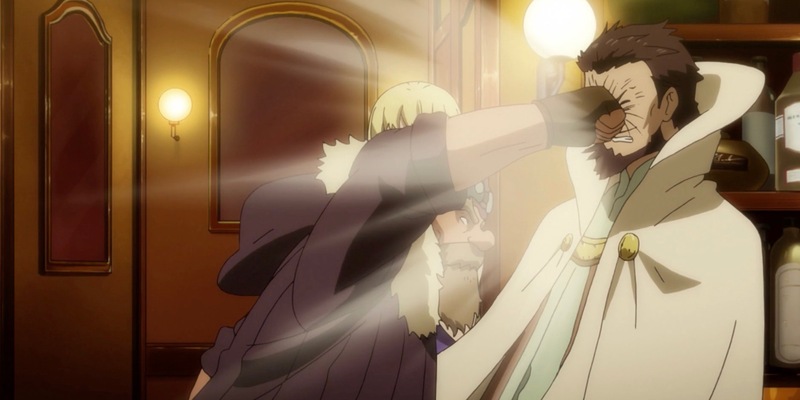 And yes, it is racist of them to assume that Musa should be in Japan on a running scholarship just because he’s African; that assumption, and their behavior toward him, is clearly depicted as a bad thing on the show. However, while they are being racist towards Musa, their behavior is understandable, because we can understand their insecurities. They aren’t succumbing to racism because they’re terrible people, they are making a mistake because they’re human. This is where I think Run With The Wind is really brave in it’s portrayal of racism. It’s one thing to have an over-the-top evil Simon Legree character whom we can all denounce as racist and feel good about ourselves, quite another to show how otherwise good people can end up going along with racist attitudes. Portraying the skewed expectations that people sometimes have for other members of their own race is especially difficult to do; if done wrong, it can make it seem like you’re attempting to blame all racism on the people who suffer the most disproportionately from it. However, you can’t address racism responsibly if you only portray it as an inter-group problem; it’s an intra-group problem, too. 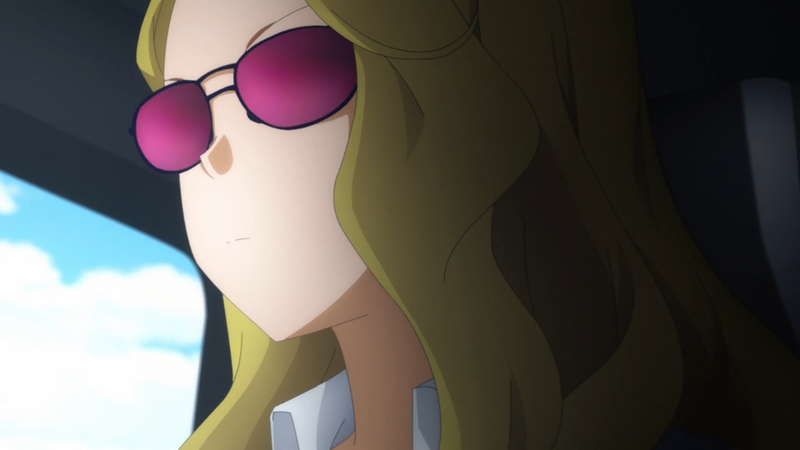 One more scene that’s relevant takes place later on, when the Kansei University Track Team starts to build some momentum. 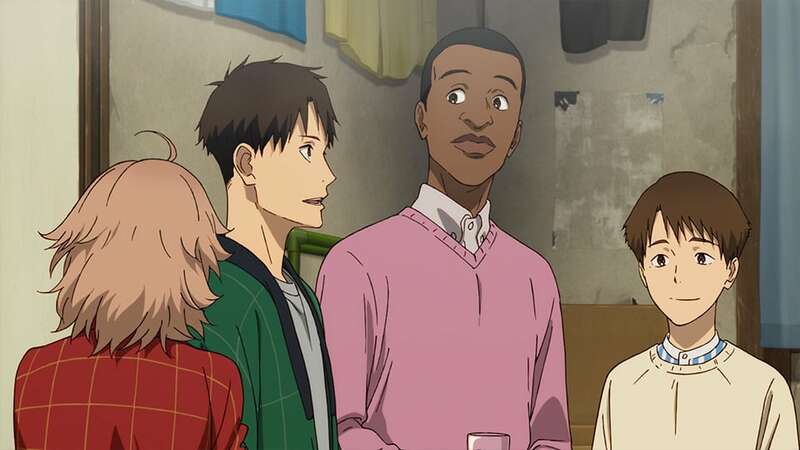 Kakeru and Musa overhear some guys complaining that the Kansei team has an African student on it, preferring them to field an “All-Japanese team.” The implication is that, since Musa is African, he’s not a ‘real’ Kansei University student and doesn’t count. 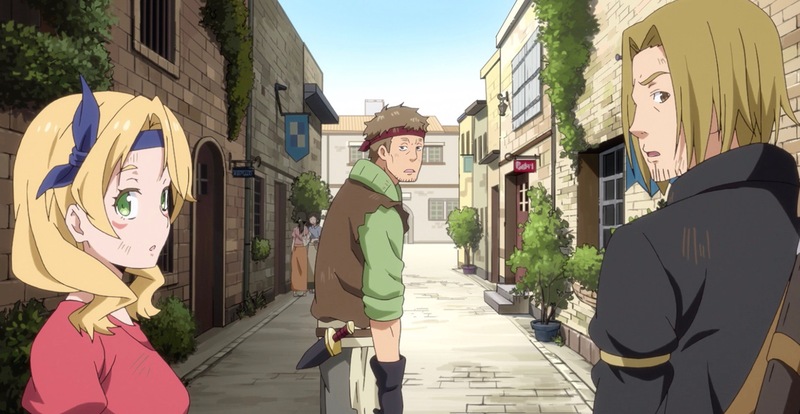 Kakeru, hothead that he is and offended on Musa’s behalf, wants to go give these people a piece of his mind, but Musa stops him. It’s not that Musa isn’t bothered by these comments, but as he explains to Kakeru, what would be the point? You don’t win out over racists by getting into arguments with people on the street. You don’t drown out prejudice by yelling at people who are being ignorant, because if they could understand you, they wouldn’t be ignorant. The real work to chip away at racism, as Musa well knows, is the stuff that’s going on at the old dormitory, where the other students from all different walks of life have learned to see Musa as one of their own. It also chips away at racism when Musa participates in Track and Field as a hobby, while his main focus is his academics; he’s a talented runner, but he’s not the best runner on his team, and that’s okay, because that doesn’t have to be. Appropriate for a long-distance runner, Musa is seeing the big picture. He can engage with running at whatever level he wants, and he doesn’t need to care how other people perceive that. And by living that way, he may convince a few other people that they don’t need to care either. There’s some other interesting stuff going on in RWTW. For one thing, the fact that Haiji forces the entire dorm to start running raises some interesting questions; people are very big on questioning consent in fiction these days, but apparently only when the topic is sexual in nature. On this show, one of the main characters tramples all over his teammates’ consent, and I haven’t heard a peep from the usual suspects about it. 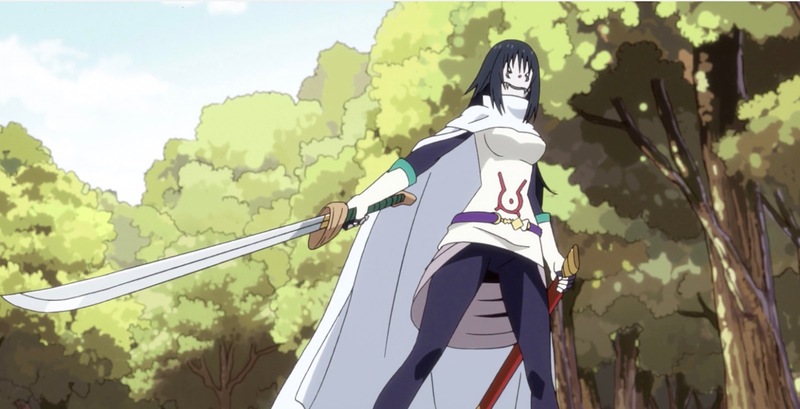 In any case, whatever I was expecting from this show, it wasn’t such a sensitive portrayal of racism, or such a mature, likable character in Musa. High marks, all around. *I’m not suggesting by the way that Japan is being negligent by not including more black characters in anime; the only ethnicity regularly represented in anime is Japanese, and it’s Anime-Japanese, meaning the characters usually don’t even look Japanese. The question of what greater representation for non-Japanese races should or could look like in a medium where even the majority population doesn’t look like themselves is a really complicated topic that goes beyond the scope of this article. 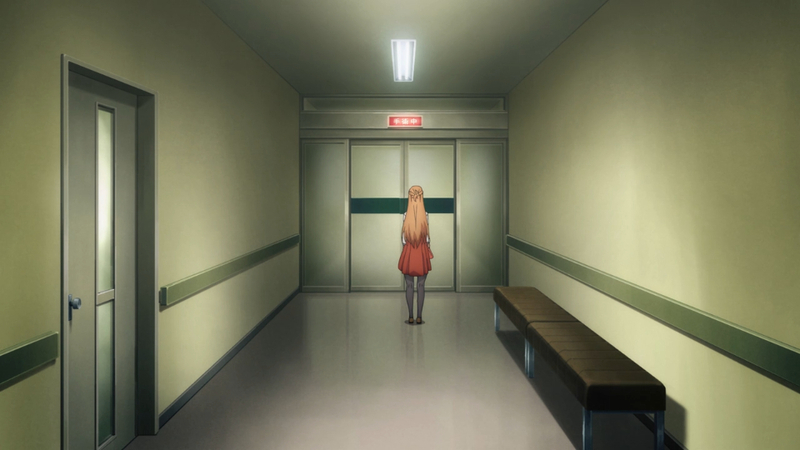 Sword Art Online episode 8 comes out tomorrow and so I’ll try to keep this post on point as I rush through it. Truth is we didn’t have the time to dedicate our usual group blogging post and so I’m writing this up to bridge the gap. 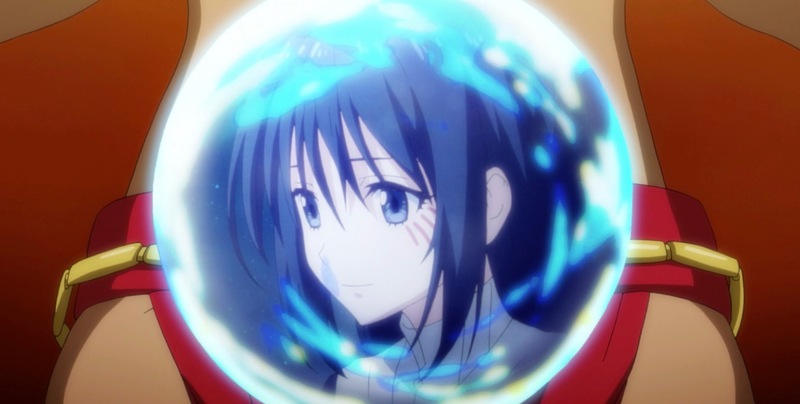 To recap: In episode 6 we learned more about Underworld, the MMO like world that Kirito is stuck in. 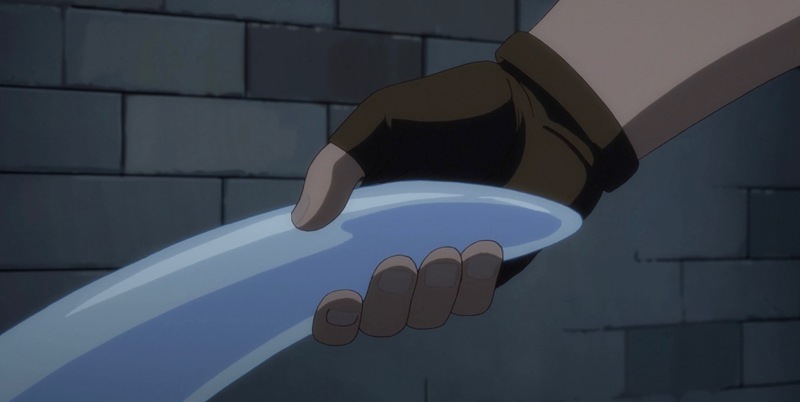 In episode 7 we got a two year time skip showing us what Kirito is up to in the world. Basically world building outside the game and world building inside the game. 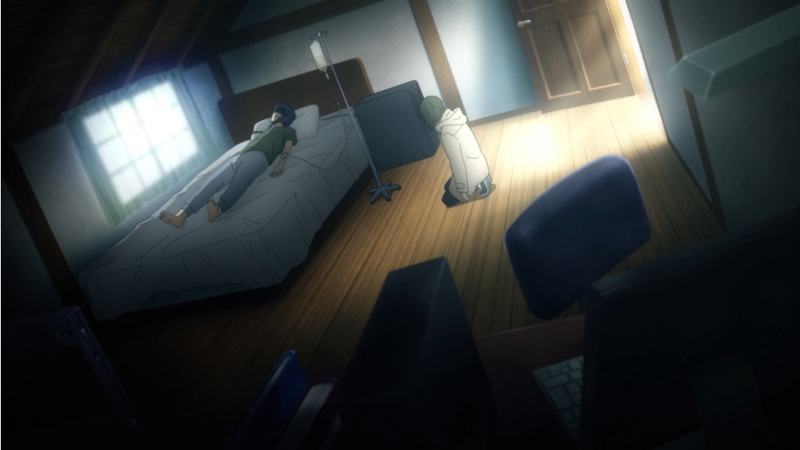 It seems that Kirito is undergoing therapy in Underworld. 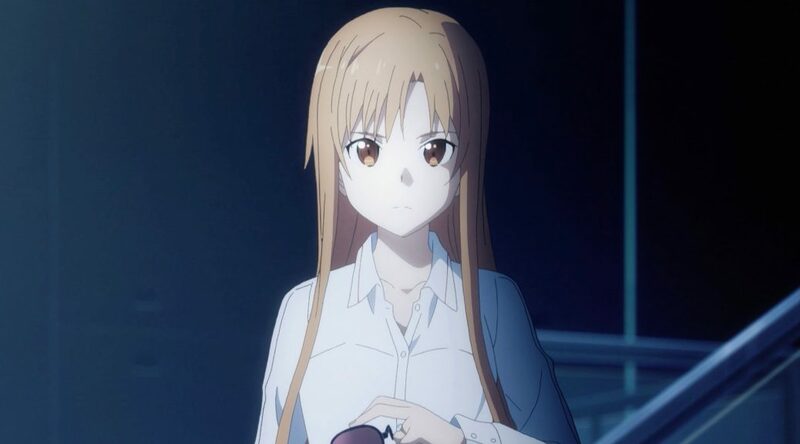 I’m not sure if I trust Kikuoka, but for the time being Asuna and has no choice. As an audience we have little reason to question it. He is stuck inside for healing purposes as best we can tell. Much of episode 6 revolves around explaining the difference between a top down AI versus a bottom up AI. I’m not an expert on AI in the real world, but I can say I find the concept interesting. The terms top down AI and bottom up AI are not new to me. 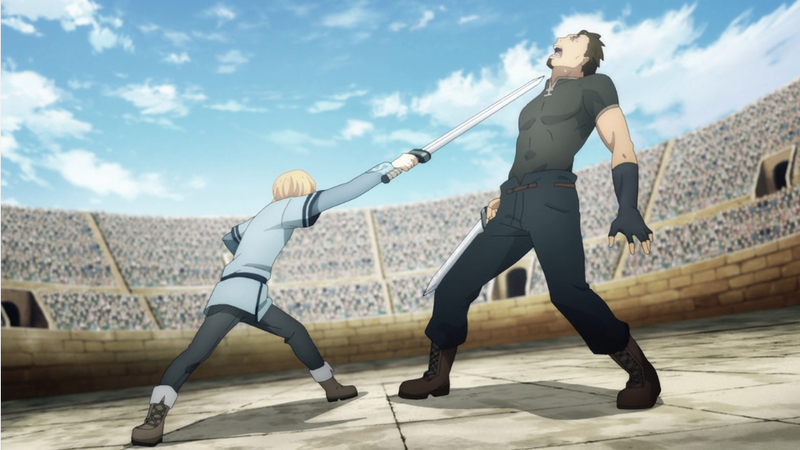 I’m curious to see where Alicization intends to take them. I suspect Kikuoka explained most of what we will need to know about AI to appreciate where the story is going. There are a few takes away that aren’t immediately obvious that I find worth pointing out. Kikuoka said that they couldn’t copy the human soul of their staff in a successful way. Once the copy learns it’s a copy it breaks down. There is possible exception and we did get a quick hint at it in the episode. Kayaba Akihiko left his ghost behind on the internet or inside the seed that all modern VR games use as a base. I’m not sure how exactly how internet ghosts work, but some part of Kayaba Akihiko is still around. His ghost probably knows about it’s own death. What that means for the story I have no idea. 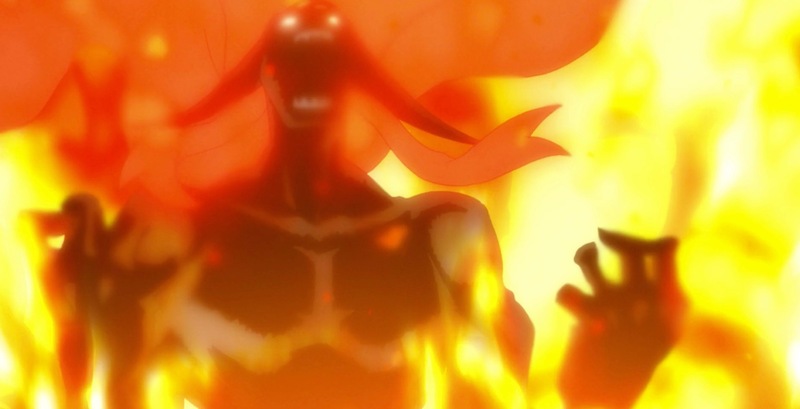 Kayaba Akihiko’s ghost may have even made a brief appearance toward the end of the episode. At this point it’s more of a tease than a fact. The current dilemma for the JSDF is that their AI people are too perfect and have a hard time breaking rules. They need to be capable of breaking rules to think more like real people. 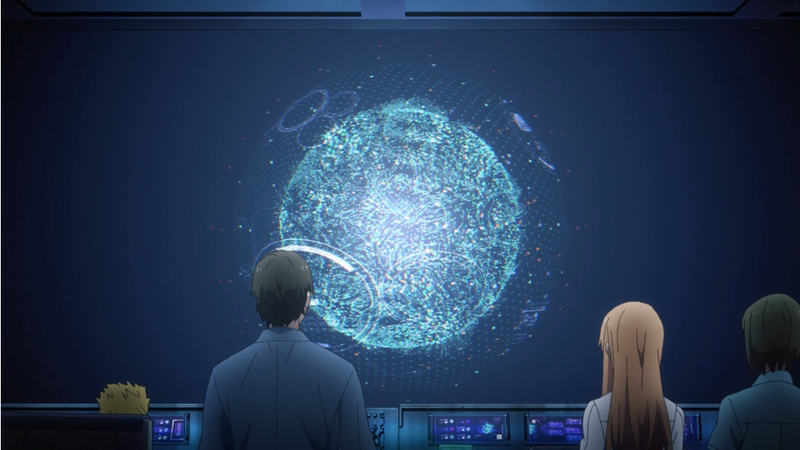 Asuna asks if Kikuoka is looking to make AIs that can kill people. The application for how isn’t explained but I can make sense of the general process. Kikuoka says early on in his explanation of Underworld that he is using it to make a general purpose AI. An AI that can’t understand why people break rules isn’t going to be very useful for law enforcement. A militant AI that can’t understand why someone is breaking rules isn’t going to be any good at combat. The big take away is that Kikuoka hopes to find combat application for the AI. Overall the the pacing and world building of this episode make a lot of sense to me. If anyone has specific questions or points they are curious about feel free to comment and ask. I know it can be hard to find answers from someone who hasn’t read the light novels and won’t spoil the story. 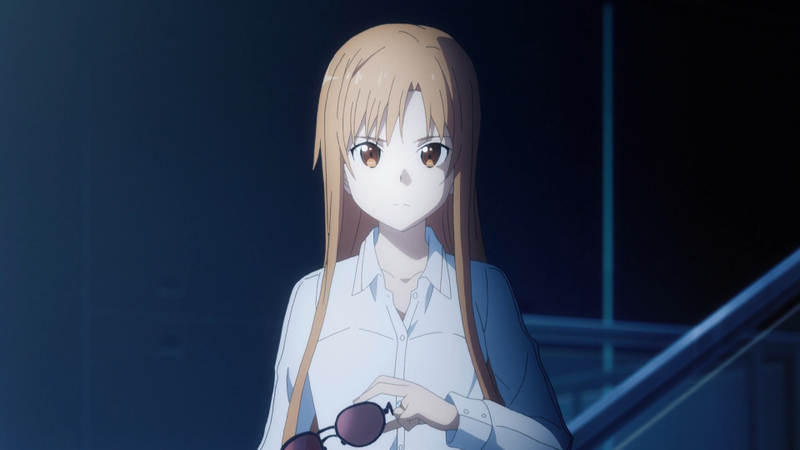 My favorite part of the episode was Asuna’s counseling session with Koujiro Rinko. 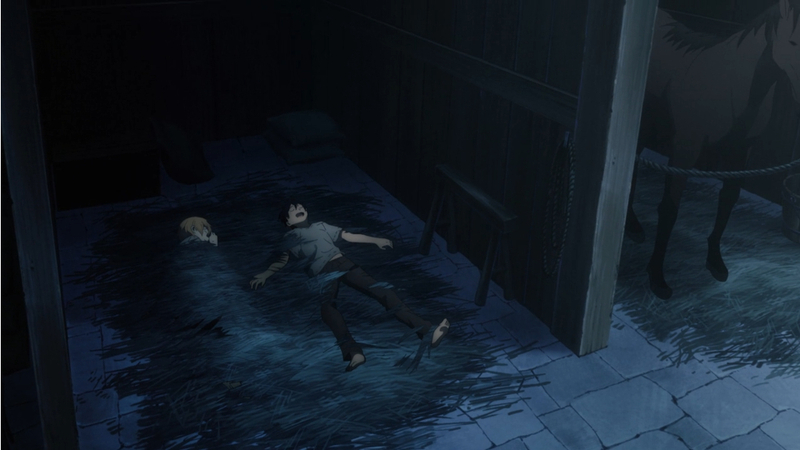 I could write a whole post on the moral dilemma in that scene, but for now I’ll say that it was a beautiful moment. It helps explain Asuna’s perspective. She can’t bring herself to hate Kayaba Akihiko because his sin was part of her fondest memories. 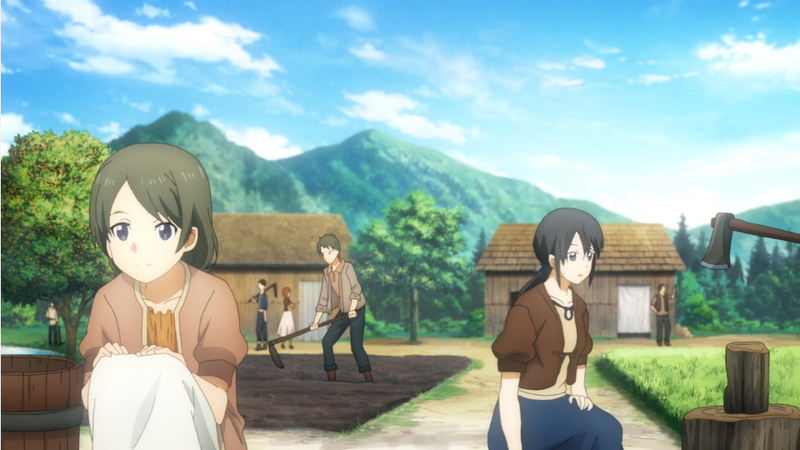 Episode 7 was… Well it was more world building at a breakneck pace. It seems like they skipped a whole tournament arc. 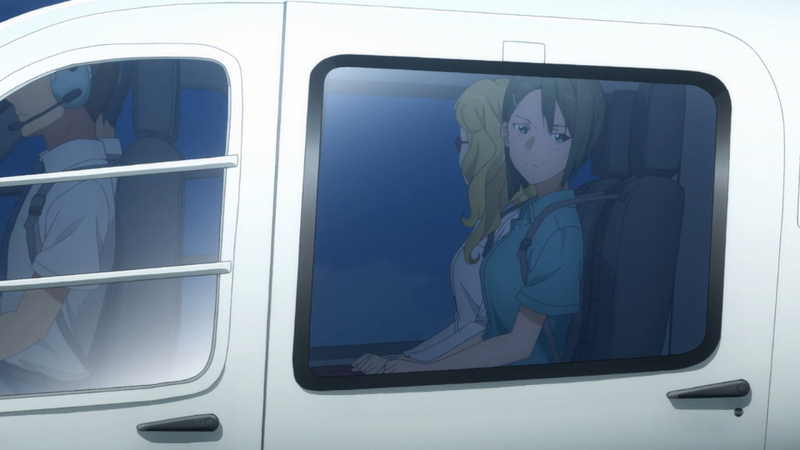 As someone who hasn’t read the novels I’m not too bothered by it, but it does make the episode feel lackluster. Like it ran out of steam and deflated a minute into the episode. The animation quality even feels like it took a hit. Most of this episode felt mechanical. Like it was going backward from point a to move us all to point b. The two big things caught my attention. Kirito’s new sword won’t allow him to use a 5 hit combo. Is that the system stopping him? Or his own cognitive function? The other point of interest got mentioned in passing. Kirito said that this world can basically turn confidence into power. That allows someone to become stronger than their stats. His sword teacher senpai is one such example. Part of her excellence at combat is because she imagines it and believes in herself. I’m curious to what degree imagination ends up a power source in Underworld. I suspect it isn’t part of the JSDF’s plan. They wouldn’t want AIs running simulations based off make believe. I’d think that has no purpose in real world military application. That makes me curious if this is something that’s always been a part of Kayaba Akihiko’s game design. 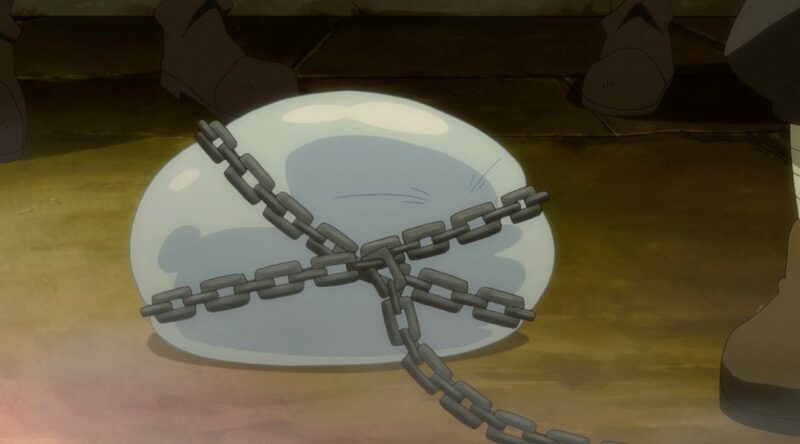 Have we seen hints of it as early as Aincrad? Does he know something the JSDF doesn’t? That seems likely based off my quick speculation, but there is a lot we still don’t know. 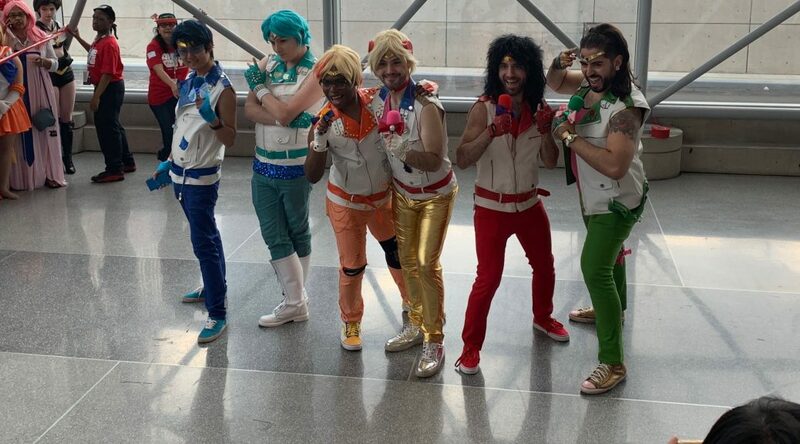 I’m going to level with you all: I didn’t actually do that much at Anime NYC today. I was really tired by the time I even got here, and I only ended up making it to maybe half the panels that I’d planned on. I’m hoping a good night’s sleep in our (tiny) hotel room will help, and I’ll be able to see more of the sights tomorrow. Also, you can bet I’m loading up on that complimentary Continental Breakfast, so I should be well-fueled. Screw keto, I’m all about the free carbs. First, I dropped into the Arc System Works Panel, where they were showing off their upcoming Kill La Kill game. The trailers and such they showed have already been posted online, however, new characters are now playable that were not ready at previous conventions, including Nonon. I hope I get a chance to make my way to the Arc System Works booth in the exhibition hall and try out the game tomorrow. 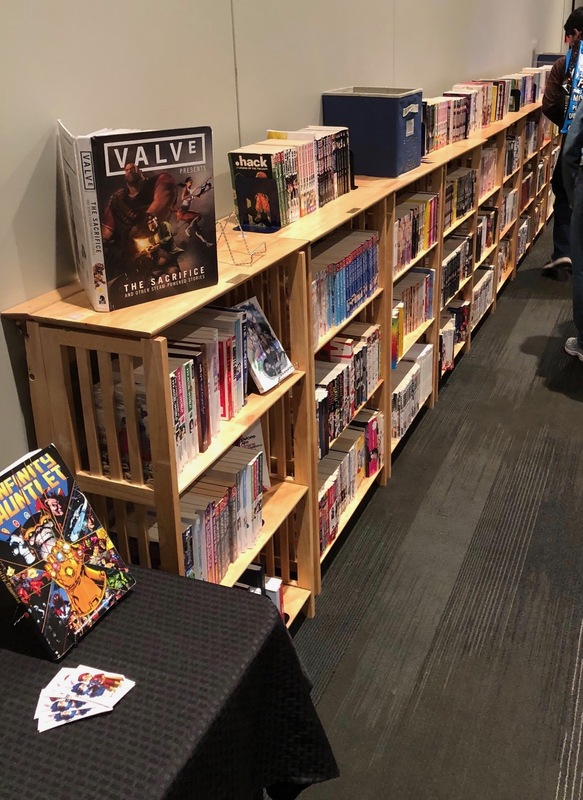 Next, I checked out the How to Live and Study in Japan panel, presented by Go! Go! Nihon. Frankly I think I missed my window of opportunity to study in Japan (*sniff*), but the service also offers Study Trips that combine a vacation with Japanese learning, so that’s a possibility for me– not right now, but maybe someday. Presenter Christopher Lee detailed his own experience, and gave some details about the schools this program is affiliated with. I was interested to learn about Nihon Kogakuin Japanese Language School; it’s actually a top school for animation and design, but it also has a Japanese language program that’s open to total beginners. For Westerners who want to become fluent in Japanese and perhaps work in the anime industry someday, it sounds like about as good a deal as you’re going to get. Next I sat in on a spotlight panel with voice actor Toru Furuya. Furuya has had about a billion different anime roles, including Yamcha from Dragonball Z and Sabo from One Piece, but he’ll always be primarily known to me as Tuxedo Mask from Sailor Moon. 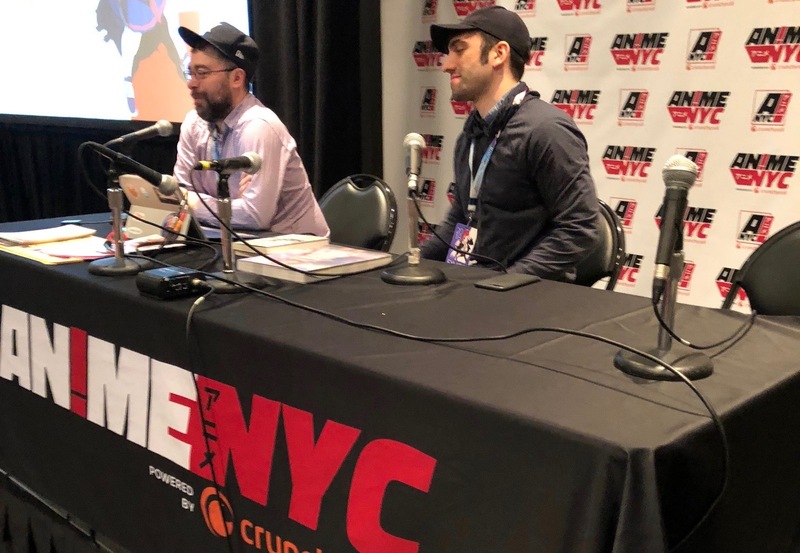 In fact, when it was time to put in interview requests for the guests for this con, I didn’t even try to get some time with Furuya, because if I tried to interview him in any capacity, I’d just be sitting there bug-eyed like “OH MY GOD IT’S TUXEDO MASK,” and that would just waste everyone’s time. Furuya graciously answered questions about his roles in a long list of anime productions, but naturally I was most interested in his comments on Sailor Moon. When asked about his favorite part of that show, he noted that the actresses playing the Sailor Senshi were all very pretty, and he liked attending the recording sessions because of that. Heh. Gotta love the honesty. 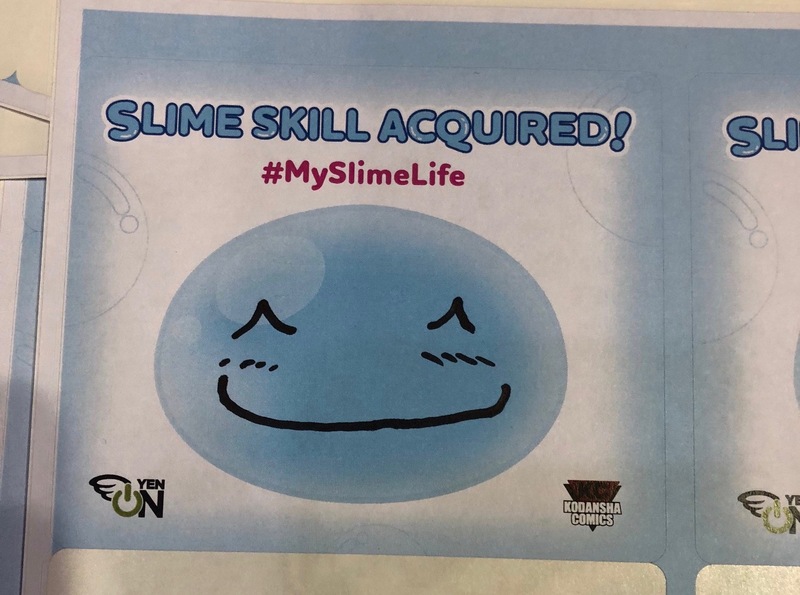 Many slime fans had come this way before me. 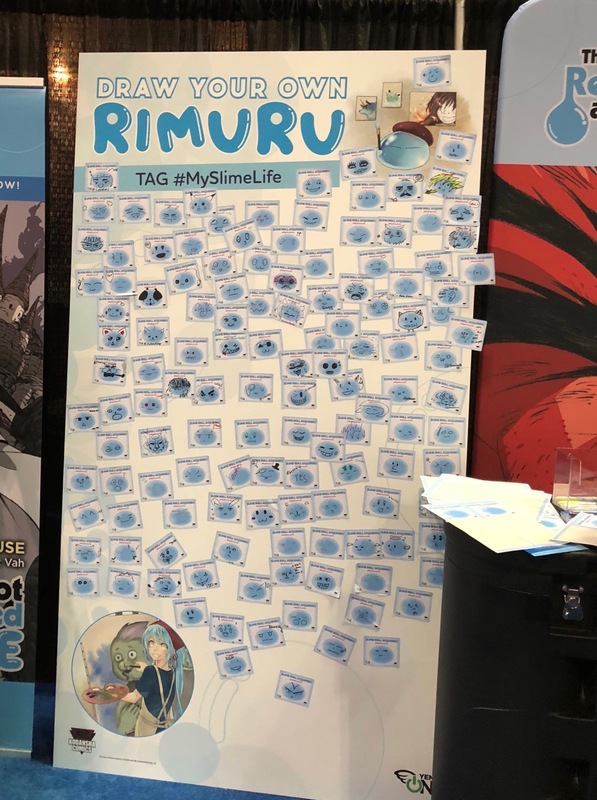 There may have been better-drawn Rimuru’s on the board, but were any of them happier than this little guy? DOUBT IT. 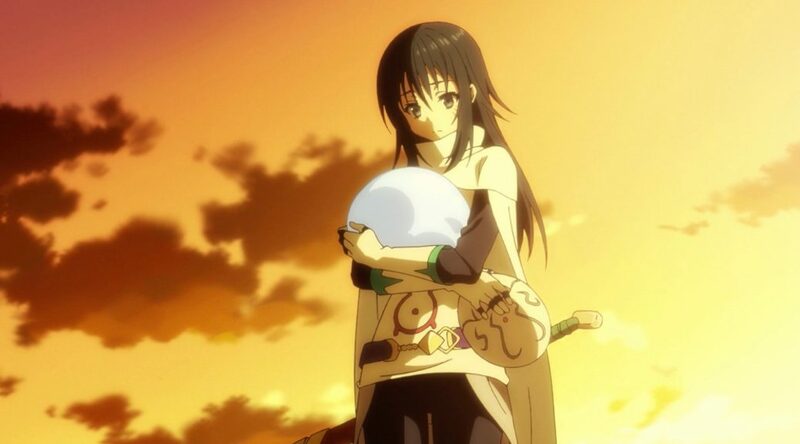 Finally, I got to hug Rimuru! 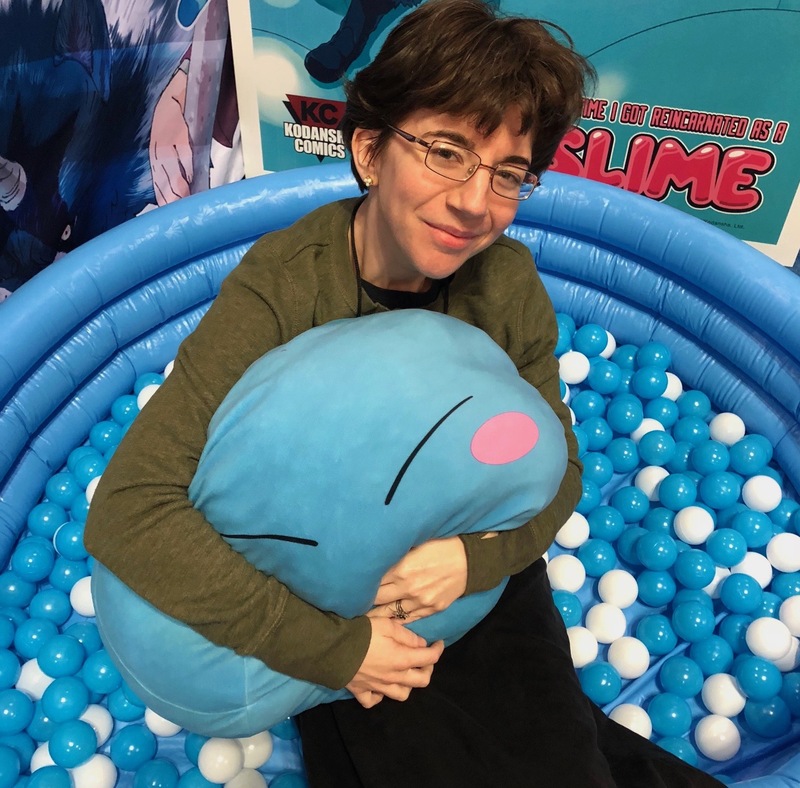 Yen Press is running some kind of contest where you get your picture taken with Rimuru and post it on Twitter and then you could win a prize or something, but honestly, I just wanted to hug Rimuru. Maybe I’m no Elven tavern wench, but I like to think that my Rimuru was reasonably happy with this turn of events. That’s it for Day One of the con. “But where are all my licensing announcements? 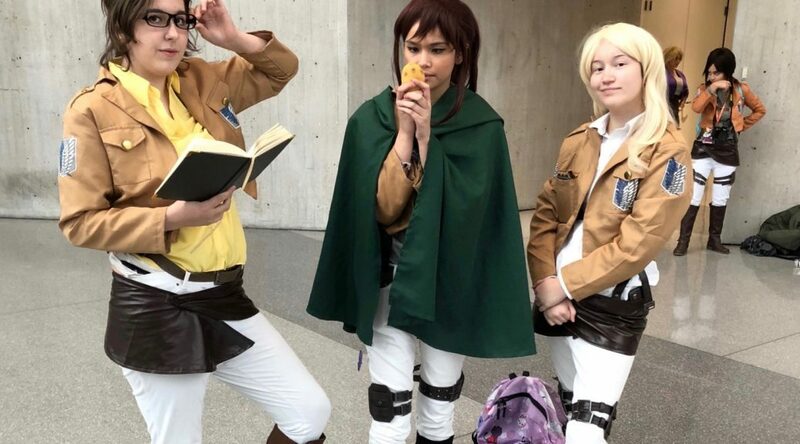 Where are my copious cosplay photos?” We’ll get there. I just nearly started an electrical fire in the hotel room trying to make a cup of decaf, so I think I’m going to cut my losses for today and GO TO SLEEP. 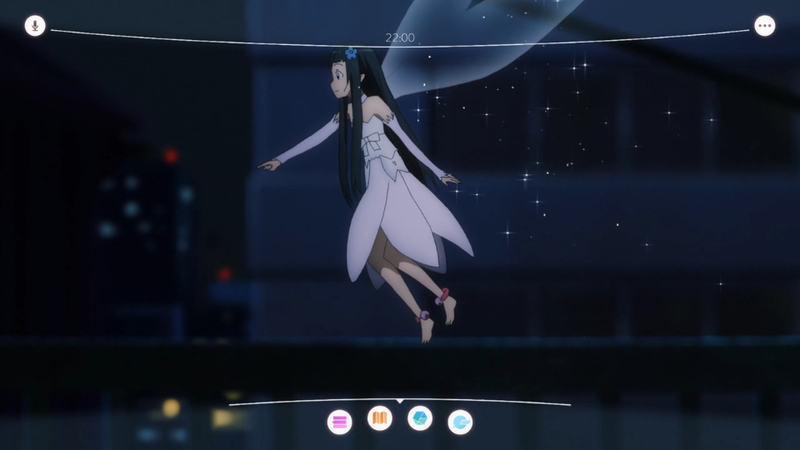 This time around, Sword Art Online gets us talking about the future of warfare, we investigate the possible deeper meaning of Mai’s bunny suit in Rascal Does Not Dream of Bunny Girl Senpai, and I’m getting surprisingly invested in Between Sea and Sky, considering the fact that I still think it’s dumb and it will never stop being dumb in general. 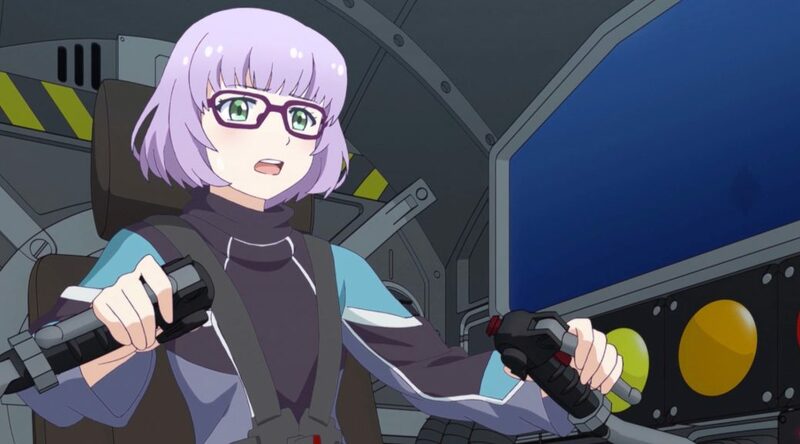 In addition, we childishly yell at Kyoto Animation for having the audacity to make a silly archery show instead of Miss Kobayashi’s Dragon Maid Season 2/ Sound Euphonium Season 3/literally anything else, and speculate about Sophie Twilight’s financial situation. We didn’t end up doing Listener Questions this week, because uh…I forgot. We’ll do it next time, for sure, so if you have any more questions, let us know in the comments. 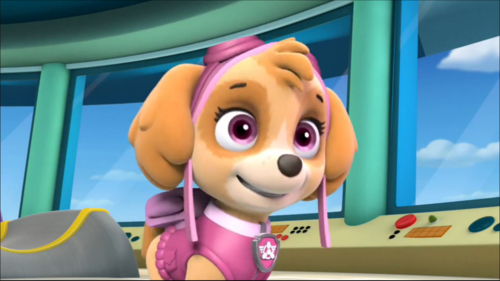 Yes mai waifu is a Cocker Spaniel/Poodle mix who flies helicopters, get your own. 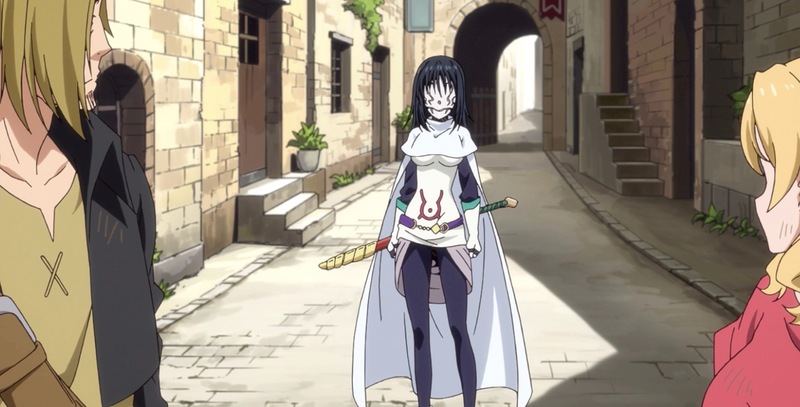 animeBetween the Sky and SeaBloom Into Youms vampire who lives in my neighborhoodPodcastRascal Does Not Dream of Bunny-Girl SenpaiSword Art OnlineThat Time I Got Reincarnated as a SlimetsuruneUzamaid! 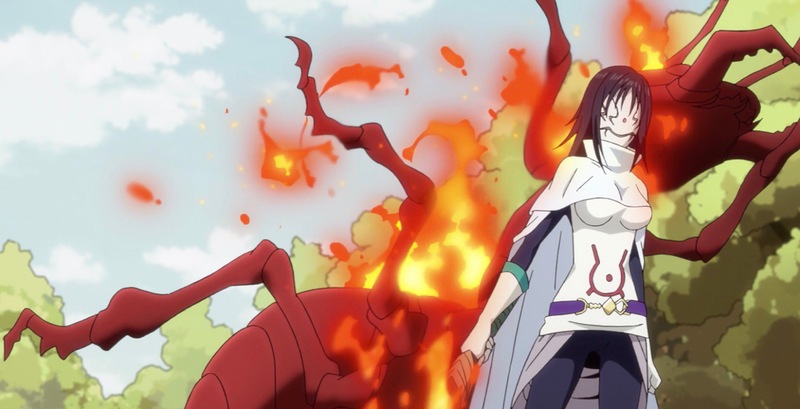 Another week, another episode spent talking about seasonal anime. LB and I actually had some other things to discuss; unfortunately, silly Lifesong is busy playing video games instead of stuffing his face with anime and LNs. What’s up with that? How dare he take care of his mental health at the expense of his otaku street cred? Newb. Now that we’re getting used to using this new format, there are some things to be aware of. Some of you have already noticed, but the episodes sometimes go up on Youtube a little while before I have a chance to make a post for them. So if you want to listen to new episodes ASAP, you can subscribe on Youtube. However, they never go up more than maybe a day earlier, so it’s not really a big deal either way. Got any questions for us? Feel free to let us know in the comments. If we get some good questions, maybe we’ll take a break from seasonal chatting one of these days and do a good old-fashioned listener questions episode. Actually, that sounds fun, so if you guys don’t give us any good questions, I’ll probably just make up some. 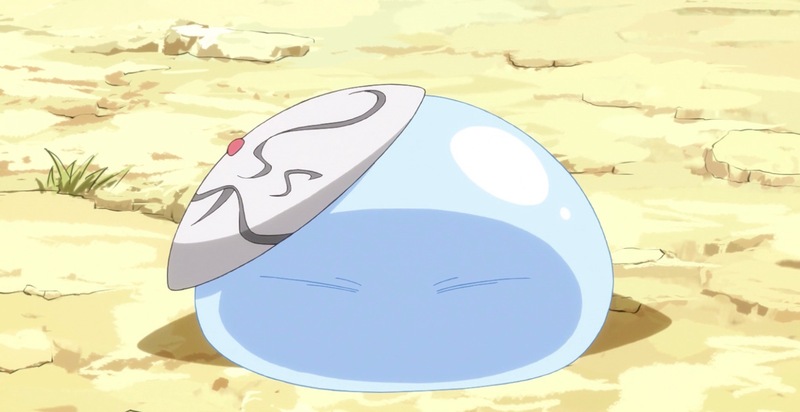 animeBetween the Sky and SeaBloom Into Youms vampire who lives in my neighborhoodPodcastRascal Does Not Dream of Bunny-Girl SenpaiSword Art OnlineThat Time I Got Reincarnated as a SlimeUzamaid!